The one thing that most people know about Don Carlo Gesualdo, Prince of Venosa, is that in 1590 he caught his wife and her lover in bed together and murdered them both. 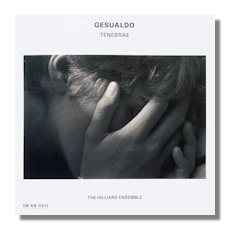 Indeed, his biography, rather than his music, kept his name alive for a number of centuries and even revived it in the first twentieth-century biography – Heseltine and Gray's Carlo Gesualdo, Prince of Venosa: Musician and Murderer. What is less known, however, is that Gesualdo probably had been aware of the affair for two years. This has led some scholars to speculate that the murder was political, rather than a crime of passion. 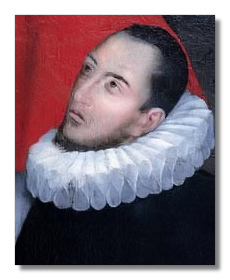 After his trial (he was acquitted), Gesualdo kept mainly to his estate. Music, heretofore a semi-secret passion (he published a book of madrigals under the name Gioseppe Pilonij), became almost the only thing he cared about. Contemporary writers talk about his "mad passion" for music. In 1594, Gesualdo visited the court of Ferrara, mainly to sample the music there. He picked up a second wife, Leonora d'Este, niece of Ferrara's duke, an illustrious marriage which rehabilitated him in Italian society. His musical obsessions grew. Poems and musical treatises were dedicated to him. He published a grand total of seven books of madrigals, as well as a great deal of sacred music. As he grew older, severe depression seemed to overcome him, in the end to the point of psychopathy. He also became increasingly ill. Contemporaries describe him as caring for nothing but making music and money. His second marriage proved unhappy, but fortunately not as unhappy as the first. Husband and wife essentially separated. 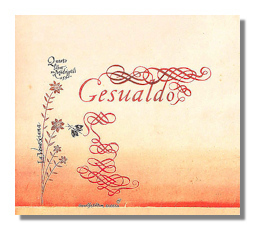 Musically, Gesualdo is an example of musical Mannerism, seen in such figures as early Monteverdi, Marenzio, and Luzzaschi. The portrayal of emotional extremes – melancholia, tormented love, for example – tends to attract this group. Gesualdo goes to the extreme of the extremes. His dissonance often reaches the border of tonality – and his sadness plumbs ever-blacker depths of self-pity. His counterpoint – unlike Monteverdi's, clumsy and even primitive – often seems to result from noodling around the keyboard. However, one cannot deny the power of his harmonies. A great artist not only discovers new things, he discovers and keeps things that others might reject and makes these discoveries necessary.